Yay! The weekend is here! (Happy dance.) That is all. This weekend, Long Beach will smell of burning rubber while the joyous sounds of tires screeching and engines revving fill the air. Whether you’re there to see a bunch of C-list celebrities crash into walls during the celebrity race or check out the drifting challenge, there’s definitely something for every type of race fan. Tickets range in price from $26 general admission for Fast Friday to $265 for the Super Photo ticket which includes 3-day admission and access to photo locations. But you can get a free pass for Friday courtesy of Tamiya Motorsport Experience here. 7am-9pm. 3000 Pacific Avenue, Long Beach (map). Celebrate the first social media holiday by enjoying 4SQ deals all over LA just by checking in. You can get one free game of bowling and shoes from Lucky Strikes at Hollywood & Highland, free cocktail and appetizer at Oceana Santa Monica, 20% off your bill at Lola’s from 6 to 10pm and 40% off your bill at Hash n’ High in Venice. I can’t wait for this weekend’s Artisanal LA event. Not only is it going to be in Santa Monica but Library Bar’s Matt Biancaniello will be conducting a market fresh cocktail demo and Eagle Rock Brewery and Nibble Bit Tabby Brewery will discuss local craft beer on a panel. Wine and spirits tastings, chef demos and over 100 local vendors to browse. And if you’re local there’s free bike valet available. Saturday 11am-8pm, Sunday 11am-7pm. $10 online, $15 door. Santa Monica Place, Level 3 Dining Deck, 395 Santa Monica Place, Santa Monica (map). Coachella, Schmoachella. Who wants to deal with sweaty herds of hipsters and long bathroom lines anyway? OK, I’m just old but for real, if you couldn’t go to Coachella, console yourself by enjoying “the world’s first indie rock tribute act,” Black Crystal Wolf Kids at the House of Blues on Sunset. They’ll be playing all the great hits from Coachellas past. 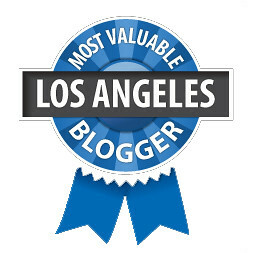 Shout out to band member and Thrillist LA editor Jeff Miller! 8:30-11:30pm. Free. House of Blues Foundation Room, 8430 Sunset Boulevard, West Hollywood (map). Every month this women’s beer club meets up to discuss beer, try rare beers and just have fun. This month’s flight — four 5-oz tasters — is about flowers, specifically beer with floral notes. Newbies and connoisseurs are welcome. Meet like-minded beer girls while enjoying banh mi purchased from female-run food truck, Mandoline Grill. 7-9pm. $12. Eagle Rock Brewery, 3056 Roswell Street, Los Angeles (map). For $35 at this oinkfest you get a smoked BBQ Jamaican-influenced hog (well, parts of it) to enjoy with veggies, corn salad, plaintains, mini key lime cupcakes and two Red Stripe beers! Bob your head along to live reggae music and maybe pregame it up with happy hour beforehand. 5:30-10pm. $35. Ford’s Filling Station, 9531 Culver Boulevard, Culver City (map). (310) 202-1470.